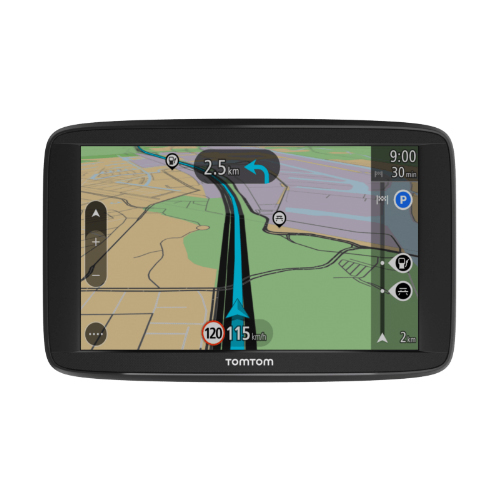 The TomTom VIA 1425M 4.3-Inch Glass Touchscreen Portable GPS Navigator makes finding destinations is simple from the search menu or by touching a point on the map. This Navigator comes with internal memory of 8 GB and up to 1-hour autonomous battery operation. Using TomTom maps, you have access to one million more miles of mapped road in the US. As an added convenience, it offers spoken instructions so users can pay attention to the road; and Advanced Lane Guidance for navigating difficult junctions and not missing important turns. With TomTom, it's Free Lifetime Map Updates. The TomTom VIA 1425M has many exciting features for users of all types. It's one of FactoryOutletStore's best selling TomTom Most Popular GPSs. You can extend the lifetime of your TomTom VIA 1425M with the purchase of a FactoryOutletStore Factory Protection Plan. 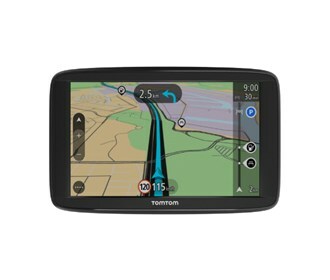 See the TomTom VIA 1425M gallery images above for more product views. FactoryOutletStore stocks a full line of accessories like A/C Charger, Case, and Convert Suction to Dash Mount for the TomTom VIA 1425M. The TomTom VIA 1425M is sold as a Brand New Unopened Item.